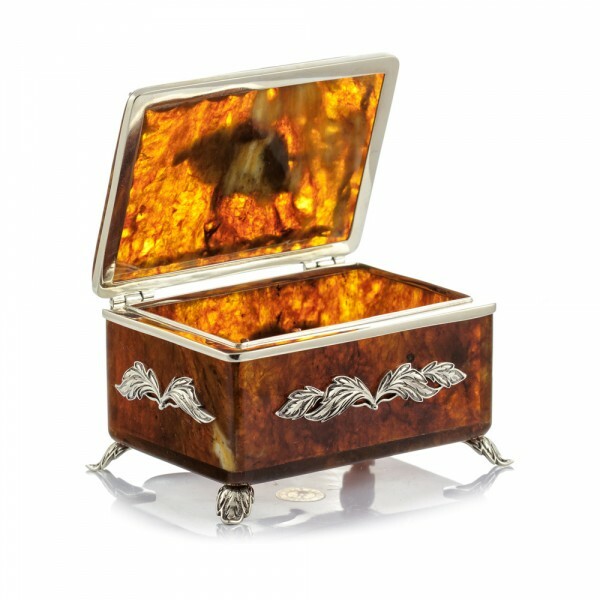 Amber box for tea with a spoon is a unique handmade article created of natural Baltic amber. 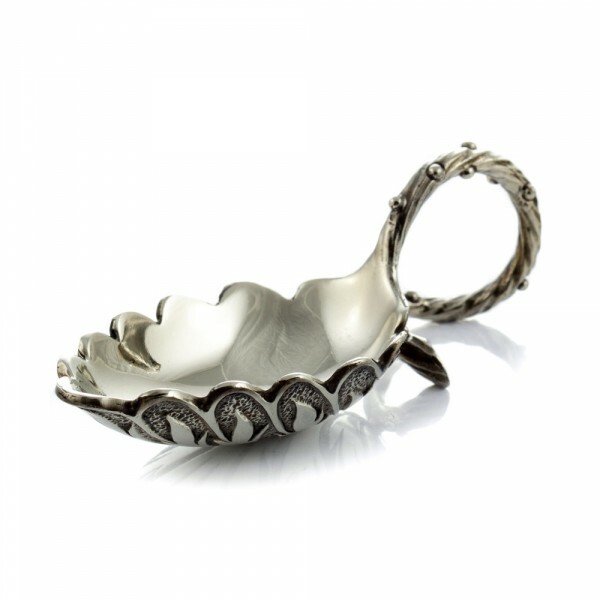 The product is decorated with a refined vegetable ornament from bronze. 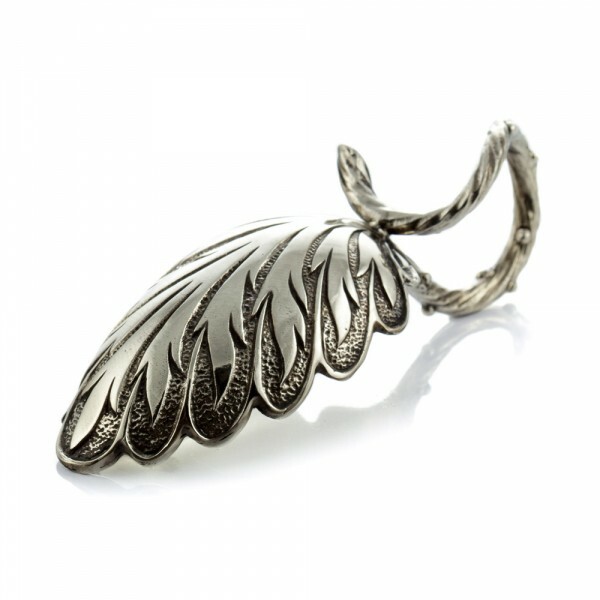 An exquisite bronze spoon is made in a shape of a leaf. 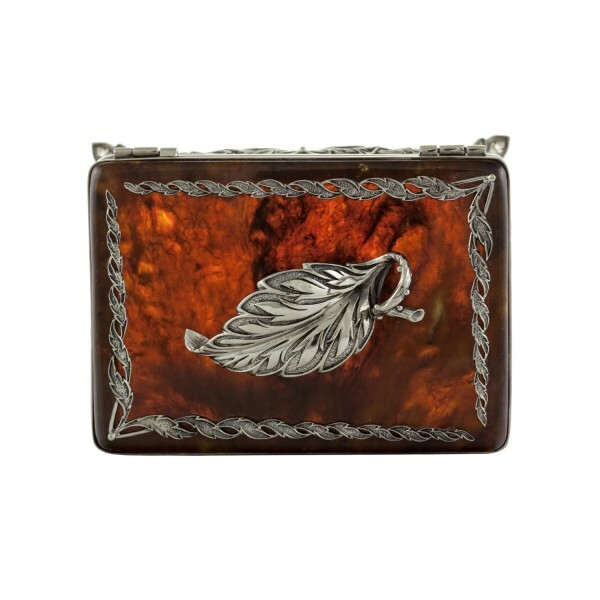 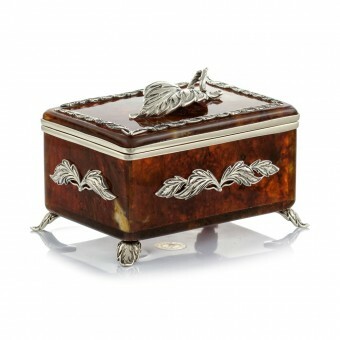 The amber box for tea, undoubtedly, will become a stylish, original accessory for your interior.